Steve’s first CD jumps headfirst into the Texas tradition of storytelling songs, from desert outlaws of Big Bend to tales of New Orleans. 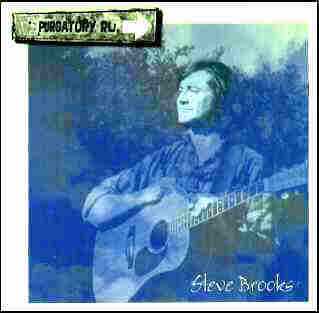 Steve’s first CD is a country-rock love song to his adopted home of Texas and its many cultures and musical styles. They run from a sweetly sad bluebonnet romance and a Native American sweatlodge to a comic tale of a songwriter who begs his girlfriend to cheat on him. Outlaws abound, especially in his trilogy about Terlingua, north of the border, where the West is still wild. But Steve also looks back at his New Orleans years, with tales of race in Louisiana politics and his personal favorite song Everette, a dark portrait of New Orleans poet Everette Maddox, later recorded by Slaid Cleaves. The album rounds out with a wistful Buddhist blues about letting go.